Combine your love of bowling and baseball with our MONDAY BUS TRIP LEAGUE! Our end of season party includes a bus trip to the Cubs vs.Brewers game September 7rd!!! In addition to end of the season payout, each week we will have a drawing for prizes and giveaways. Competition Level: All Skill Levels! Challenge yourself and take your game to the next level with the PBA Experience League! Bowl on a new challenging pattern every 2 weeks. ​Challenge yourself and take your game to the next level with the PBA Experience League! Bowl on a new challenging pattern every 2 weeks. Each Bowler will receive their choice of one of six new balls!!! ​Great way to spend some time together as a family while improving your game AND equipment. Adults and youths will receive a brand new ball!!! ​This ones for EVERYONE! 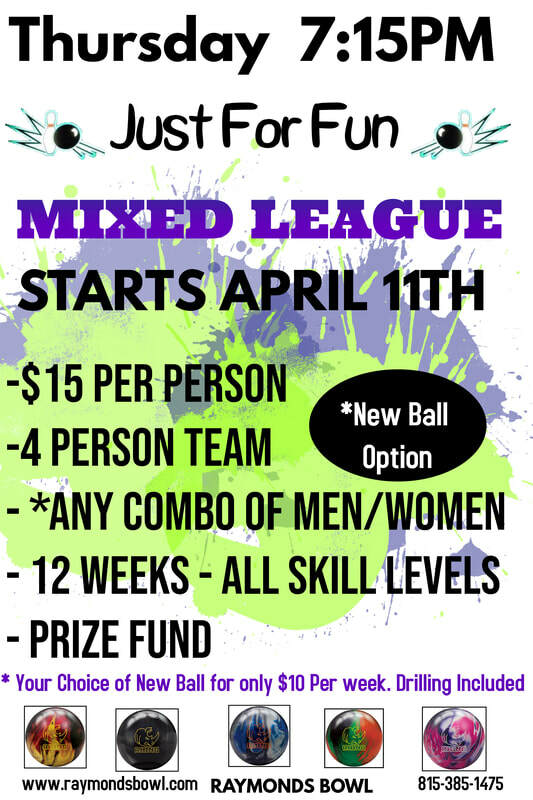 Whether you're looking to join a league for the first time,or just looking for a fun night out-this is it! We have proudly partnered with Bowlersmart Pro Shop to offer a new ball option. For only an additional $10 per week, you will receive your choice of one of five brand new balls. Fill out the form below to sign up for one of our fun Summer Bowling leagues!